The ESR Think Tank on best practice UAV spectral sampling (OPTIMISE-BUS) was held between the 22nd to 24th November 2016 at the Tartu Observatory, Estonia. The topic of this meeting included data quality considerations including calibration and characterization of instruments and environmental influences. 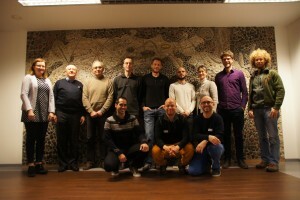 It preceded the meeting in Twente (http://optimise.dcs.aber.ac.uk/workshops-meetings/wg1-wg3-combined-workshop-twente/), where the requirements for retrieval of biochemical products were defined. The aim of the meeting was to figure out how well we are currently doing with spectral sampling from UAVS and how we can improve.